Commissioned by the Intermediate Music Subject Council of the Ottawa-Carleton Elementary Teachers Federation, this Grade 2 setting of Alexander Muir’s classic song combines chorale-like material for the woodwinds and brass with a subtle yet driving rhythmic motif in the percussion section. 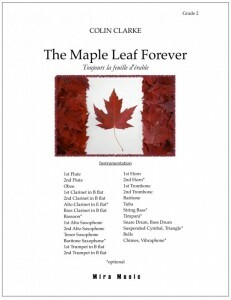 The Maple Leaf Forever is perfect for your Remembrance Day presentation, or as a contrasting lyrical piece at festival. Lots of optional parts for ensembles with flexible instrumentation, and can be performed with as few as two percussionists, or as many as eight. 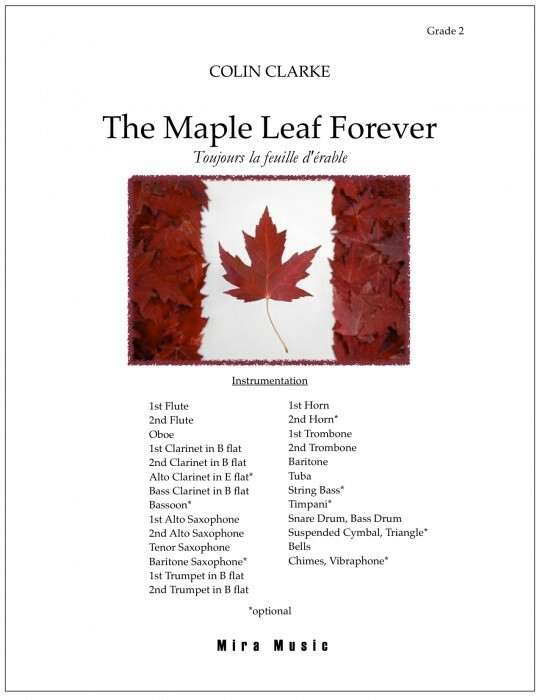 Recorded by the Univeristy of Manitoba Wind Ensemble, Dr. Fraser Linklater, conductor. To purchase a set of parts, please contact us at backstage@tywo.ca to place an order.